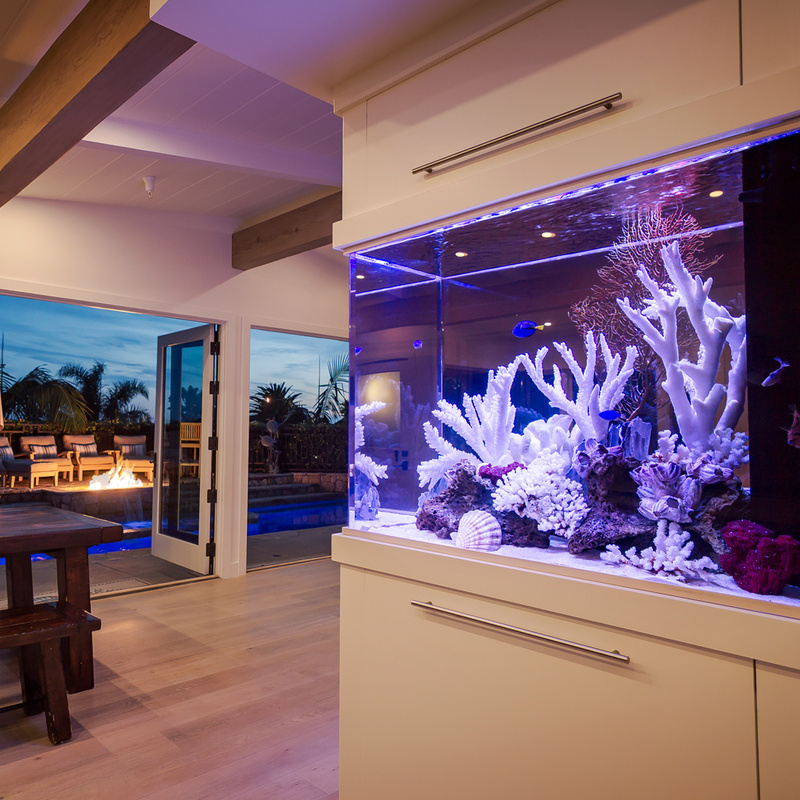 Infinity Aquarium was founded by Nic Tiemens and Joe Pineda who merged art and science to bring beautiful and unique aquariums to interiors. 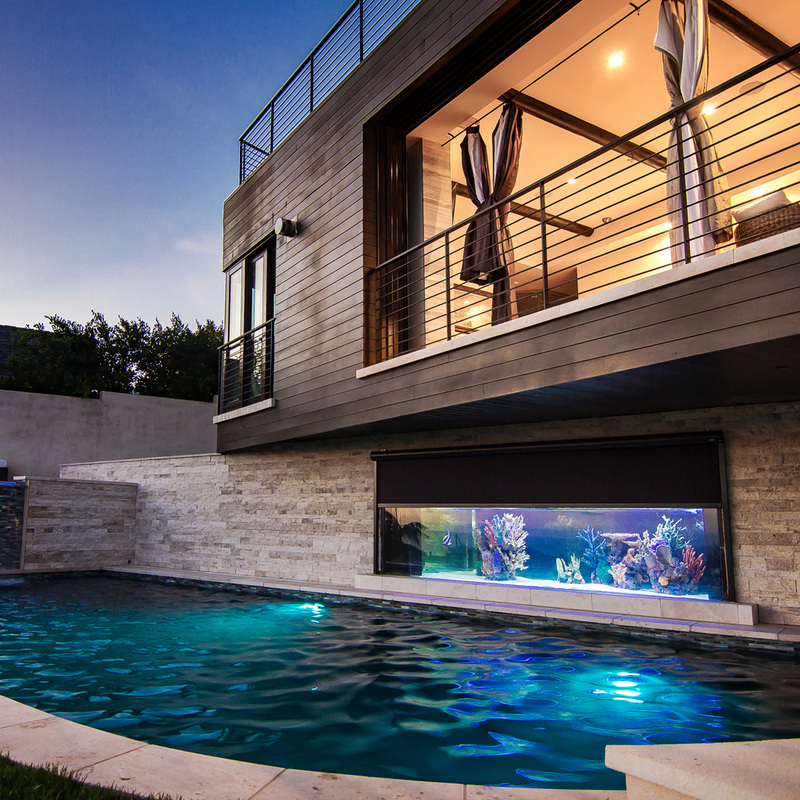 The company specializes in the design, fabrication, installation, and professional maintenance of custom aquariums. 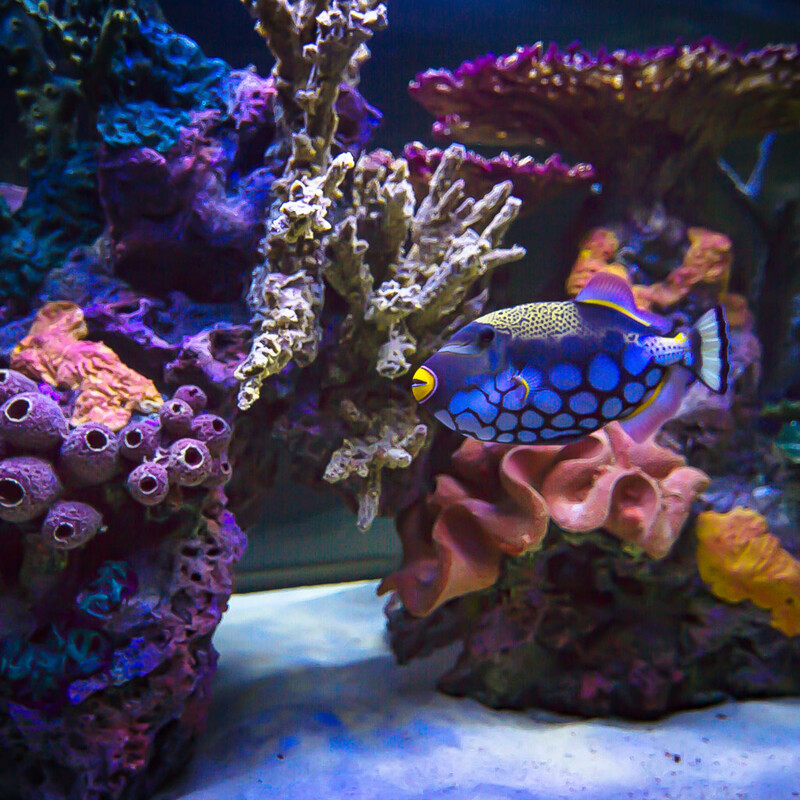 When you install a wide array of aquariums in commercial and residential interiors that run the gamut, showing the dynamic beauty and science within each tank is a bit of a challenge. Finding the right mood and design, that would appeal to diverse customers and styles, was crucial. 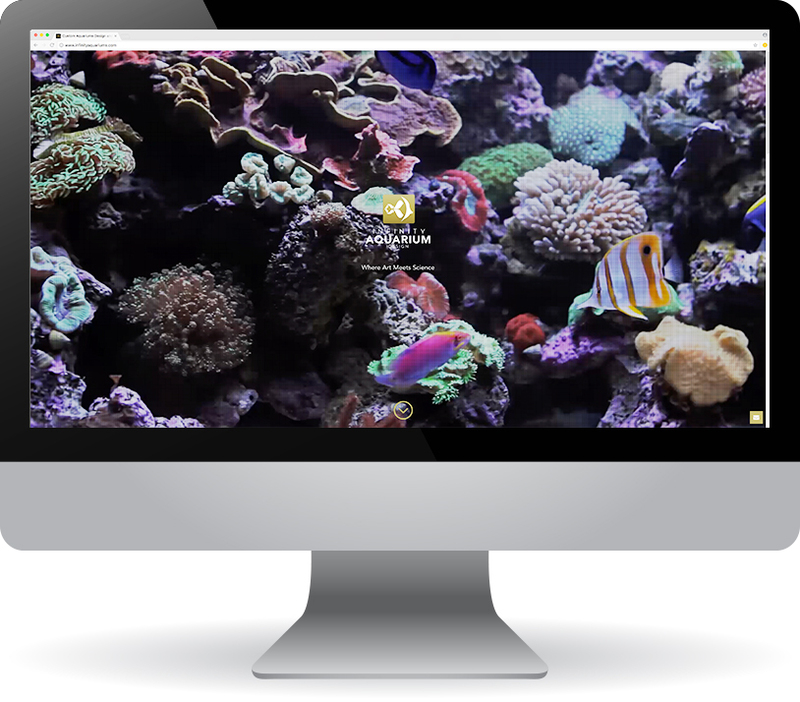 We decided to create a modern and sleek website that mirrors the beauty and movement of aquatic life. 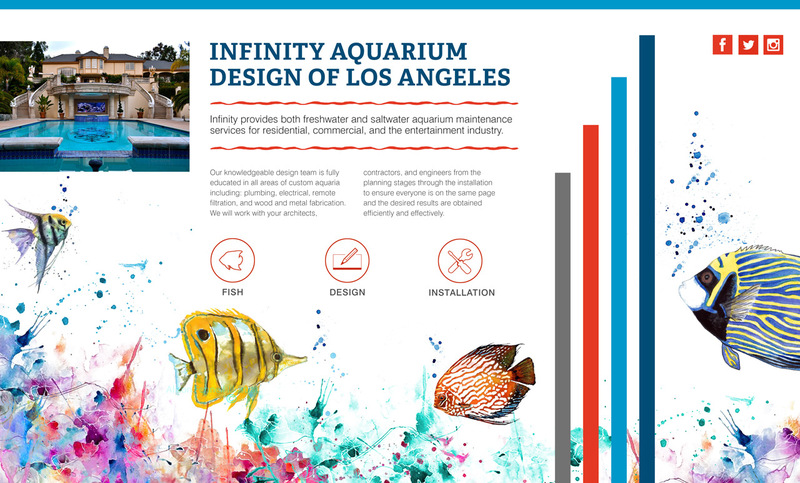 With a clean and contemporary logo, color scheme, and graphics, Infinity Aquarium would appeal to a wide spectrum of audiences, from biologists and artists to property managers and set designers. We designed and developed a website that was informative, beautiful, and dynamic. Our gold and dark blue color scheme parallels the shimmer and shine of marine life moving under water, while also giving a classy and upscale feel. In order to appeal to many different customers, we performed photography and video that shows the brand’s aquariums in their natural beauty. 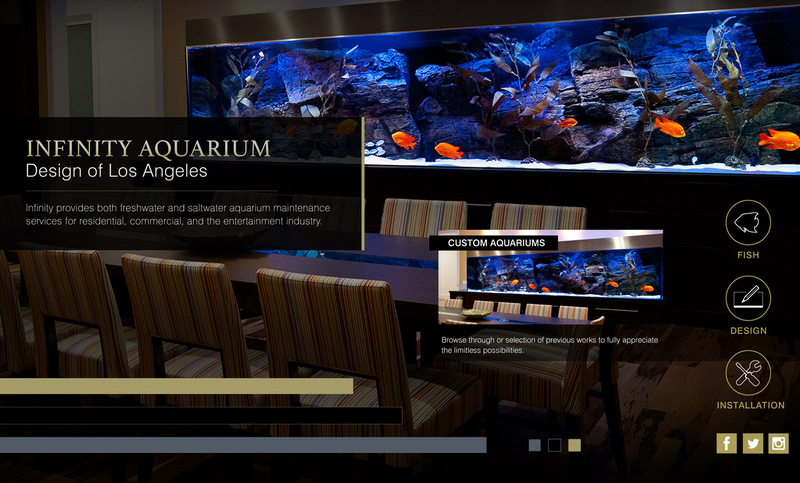 We combined up close and personal photos of fish with photos of our custom tanks within interior designs. 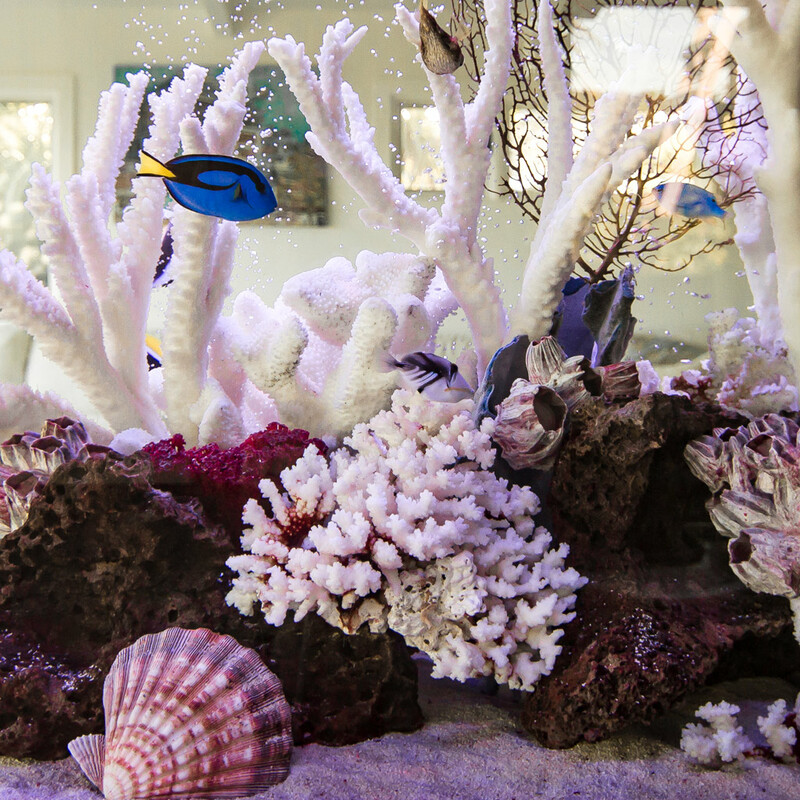 No matter what you’re looking for – a particular residential style, descriptions of the science behind our various types of aquariums, or the incredible installations done for clients – you’ll find it when diving into our website. 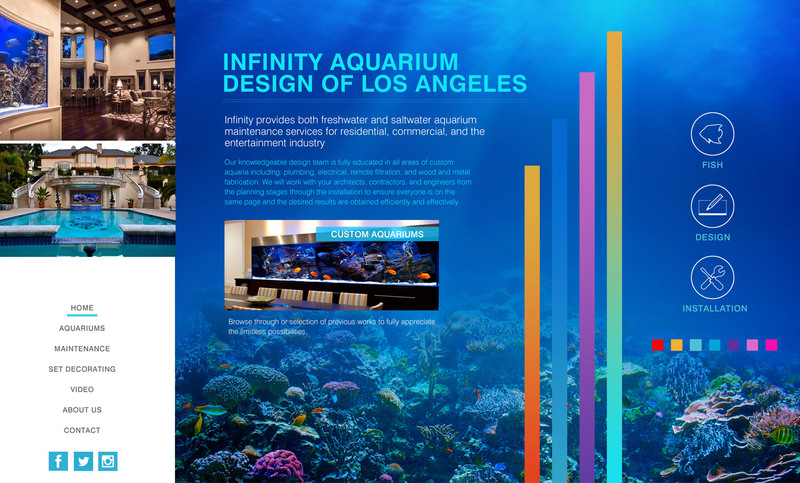 With an entirely new website, information architecture, and photography, we manage Infinity Aquarium’s keywords, Search Engine Optimization, and content to ensure that customers can discover the company’s beautifully constructed, designed, and installed aquariums.